Keep Your Family and Home Safe National Poison Prevention Week is March 19-25. According to HRSA.gov (Health Resources and Services Administration), the nation’s poison centers answer more than 4 million calls each year. More than 90 percent of these poisonings occur in the home. First Alert has suggested some tips to keep your home and family safe from some of the more common poisons. Radon: According to the EPA (Environmental Protection Agency), radon is the leading cause of lung cancer among non-smokers. “The majority of radon comes from the soil, so this poisonous gas can seep through cracks or openings in a home’s foundation, causing unhealthy amounts to accumulate in the air.” The EPA and Surgeon General recommend radon testing for all homes or living spaces below the third floor. The EPA also recommends testing in schools. More information can be found at epa.gov/radon. Cleaning products: Never mix household or chemical products together. Doing so can create a dangerous gas. “Everyday household items such as laundry detergent, bleach and furniture polish all contain toxic chemicals. 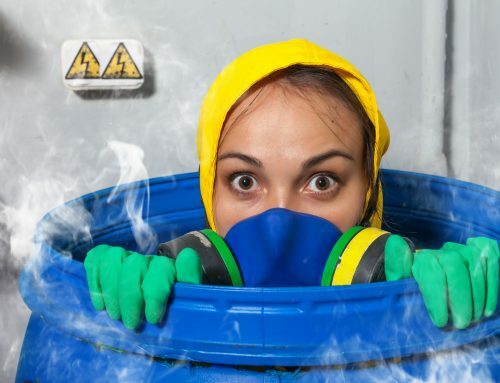 When swallowed, these products can lead to burning and irritation in the lungs and can also cause vomiting and severe respiratory distress.” Chemicals, household cleaners, medicines and other poisonous substances should be kept in locked cabinets and out of the reach of children. If someone ingests a cleaner, detergent or other potential poison immediately call Poison Control at 1-800-222-1222. As new homes are being built tighter and more efficient, we are increasing our potential or hazardous indoor air quality. Even the byproducts or off-gassing of some of the construction materials used can be hazardous. Indoor air quality (IAQ) is a growing area of concern that should not be taken lightly. Many new construction codes are requiring proper ventilation for our homes; however, many states have not yet adopted the latest building codes. There are professionals that can test your home’s indoor air quality, including the home’s radon levels. If elevated levels of radon are present, they can be easily mitigated. If there are indoor air quality issues, they can usually be improved with mechanical ventilation. There are also construction techniques that can be used to lower the potential for radon and indoor air quality issues but are often not installed. Always make sure any professional you hire is licensed or certified by a national program and is insured.